May 9, 2014 – The year 2011 marked the 500th anniversary of the birth of Giorgio Vasari which LdM’s Museum Studies Department celebrated with an international conference on the theme of “Giorgio Vasari and the Birth of the Museum”. The Italian and English language proceedings, published by Edifir and Ashgate presses, provide the first focused study of Vasari’s original contributions to museum formation by means of a cross-disciplinary overview of Vasari’s approaches to collecting and display, and his impact and legacy with respect to the museum institution. 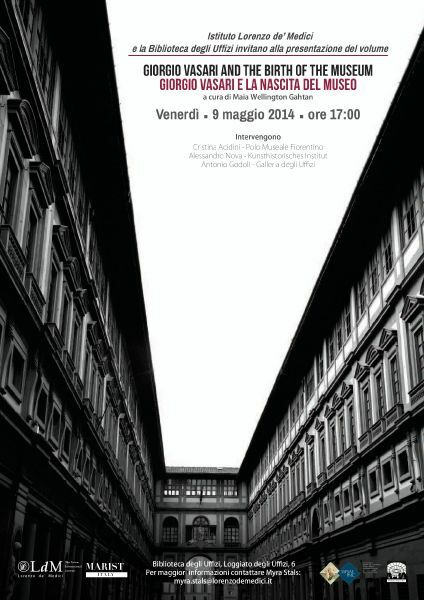 On May 9, 2014 both volumes have been presented at the Biblioteca degli Uffizi in Florence, by Alessandro Nova and Antonio Godoli, with some of the authors present.